This “Mars Base Camp” is like nothing you’ve ever seen. Despite all this talk about humans colonizing Mars, it actually coming to fruition seems like a far and distant possibility. But in just over a decade, we could have the planet well within our sights — literally. 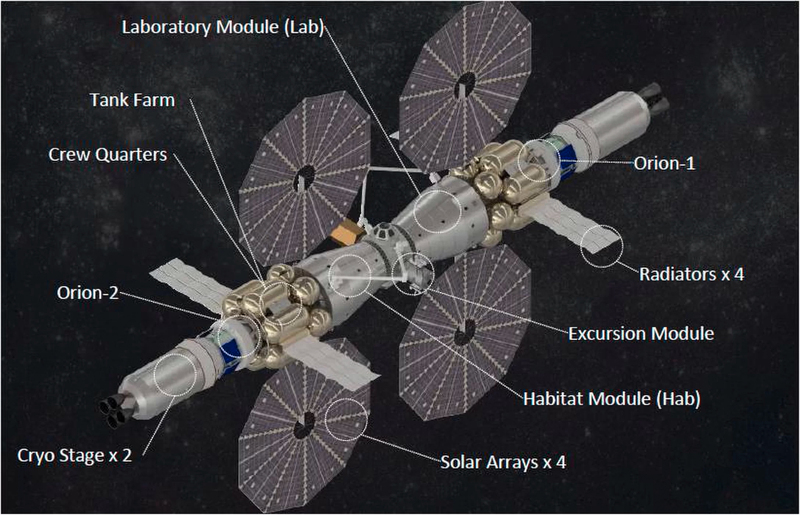 Researchers from Lockheed Martin have a plan to establish a six-person Mars Base Camp in Mars’ orbit by 2028. Their hope is that this orbiting lab will help us gain valuable insight into the planet and bring humanity one step closer to eventually colonizing it. The concept was first unveiled last year, and more details and concept images were revealed during the 48th Lunar and Planetary Science Conference (LPSC) last month. The Mars Base Camp could be very useful in helping us identify the best spots to explore when humans finally touch down on the Red Planet. The plan is for the craft to remain in Mars’ orbit for a full year, and during that time, the crew would use immersive technology, virtual reality (VR), and artificial intelligence (AI) systems to operate and maneuver rovers across the planet’s unfamiliar terrain. 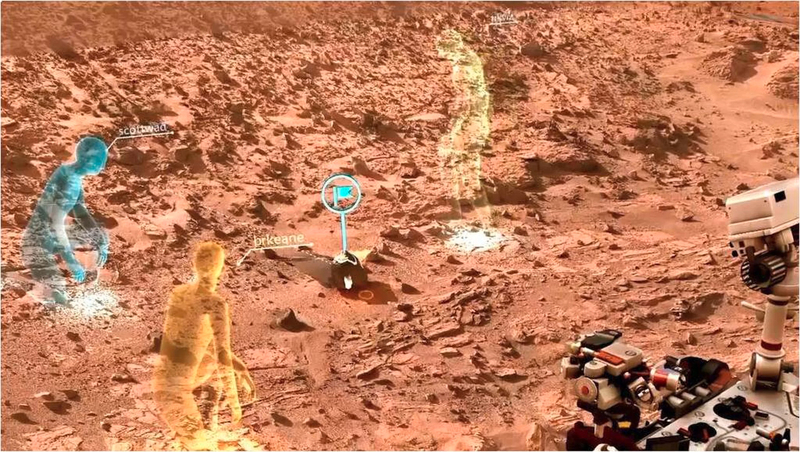 The Mars Base Camp would help minimize delays in the transmission of information, allowing scientists and researchers to study, explore, and make decisions in real-time. 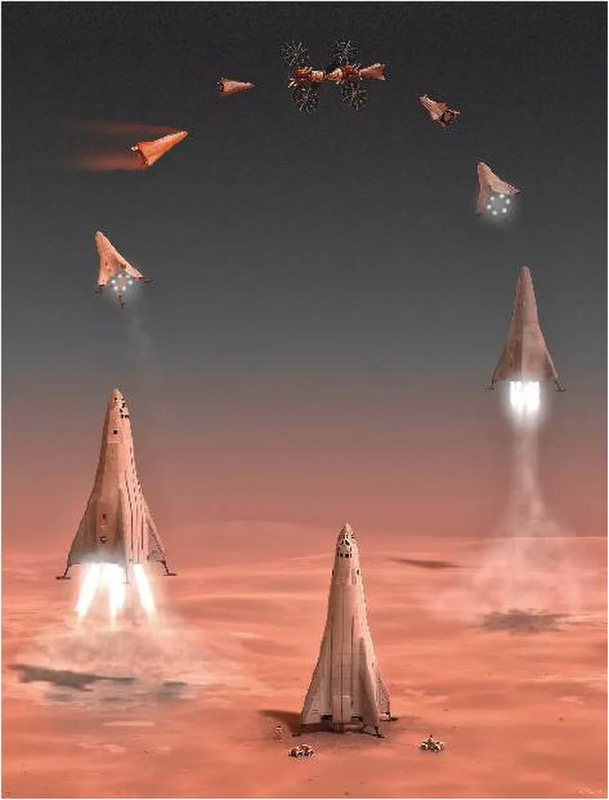 “The discussion we’re having here at the meeting is, how best can scientific discovery be enabled by having scientists in close proximity to mobile hardware on the surface of Mars or in the Martian atmosphere,” Steve Jolly, chief engineer for civil space at Lockheed Martin in Denver, told Space.com. Essentially, the Mars Base Camp would serve as a precursor to the ultimate goal — getting humans on Mars — and to that end, Lockheed Martin is looking into ways to enable two-week missions on the surfaces of Mars and its two moons via a reusable sortie system using supersonic retropropulsion.